After the success of digital release of The Deer God in 2017, Red Art Games will be distributing physical copies for the PS4 and PlayStation Vita. This means it will be one of the company’s final PS Vita releases. 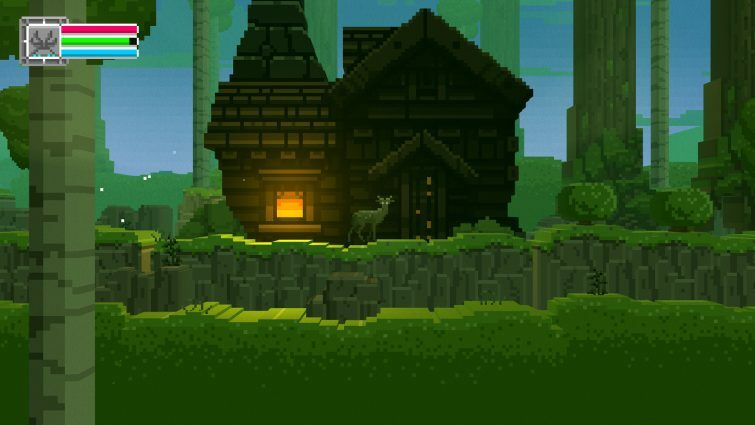 In case you missed it when it first debuted, The Deer God is a side-scrolling, procedurally generated platformer with a focus on karma and the value of life. The story revolves around a hunter who has a tragic accident and is reborn as a fawn. As the fawn, the hunter must interact with nature, learn how to make friends, and communicate with humans, all while trying to transform back. It looks like the game will throw some tough decisions at you, as you’re encouraged not to kill in order to gain karma’s favor. However, it may be tempting to slay wildlife, since it grants you the power to stay alive. The Deer God released to favorable reviews and has since been downloaded over 1.5 million times. This physical release is a chance for collectors to get their hands on a boxed copy of this unique game. Digital distribution opened so many avenues for us, but we received an overwhelming demand for a physical edition. Whether it’s a keepsake for a longtime fan or someone playing it for the first time, the physical version of The Deer God will take players on an incredible journey when it releases next month. That’s right, it’s planned for a February release and you can preorder it on Red Art Games right now. Both the PS4 and PS Vita editions will cost €24.99 ($28.62), and there will be worldwide shipping. It’s great that companies like Red Art Games are keeping physical media alive, much like Limited Run Games and other game preservation companies. Have you played The Deer God? Will you be picking up a physical copy of it? Let us know!